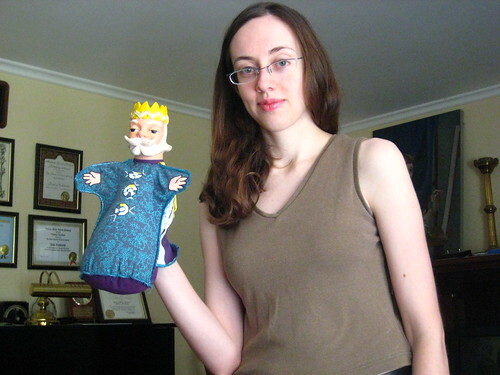 At top, Amy found King Friday in a closet. So this is where he went after Mr. Rogers’ sad passing and the subsequent fiery destruction of the Neighborhood of Make-Believe: the harsh, real world of the suburban sprawl. At lower left, Amy explains how Four Squares works on the playground of her childhood school. 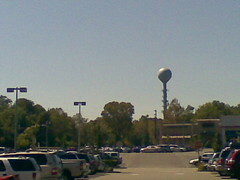 And at lower right, I could not leave New Jersey without a picture of The World’s Tallest Water Sphere, shot from the parking lot of a Union County strip mall, one of many which give the state its distinctive local flavor. 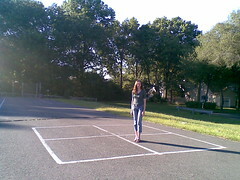 I could go for a riveting game of four square right about now.